What a great year 2010 will be! See ya 2009! As it is possible that Santa forgot a few important things on your list, and you were really good, sort of, would it be acceptable to purchase a few books just for oneself? 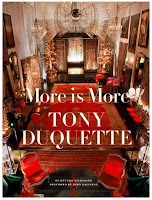 I'm starting my New Year's Day by reading, slowly, More is More, a gigantic & luscious tome about the fabulous Tony Duquette. And I'll be eating black eyed peas. 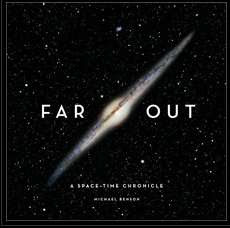 And if I finish that book (unlikely as I won't want to stop looking at the fantastic pictures) I will start the intriguing Far Out, a series of beautiful photos of deep outer space that are simply mind blowing! Finally, just so I can continue the New Year with a clear head and a good conscience, I will study Hugh Johnson's Pocket Guide to Wine 2010. That would be so that 2009 will look like a dim, blurry memory defined by the amnesia of great, exuberant revelry, health, wealth and happiness. For Everyone!